Here are the latest features to hit WGT this week, including a new set of virtual golf clubs from Callaway. Plus, be sure to post your best score in the 2018 Virtual U.S. Open Qualifier tournament by 6/30 for your chance to win a trip to next year's U.S. Open at Pebble Beach! Get more out of your virtual golf bag with the newest clubs from Callaway. With benefits including increased forgiveness, more distance and higher trajectory, the new Rogue clubs may be the upgrade you’ve been looking for to improve your game no matter where you are on the course. Virtual U.S. Open Qualifier - Ends 6/30! 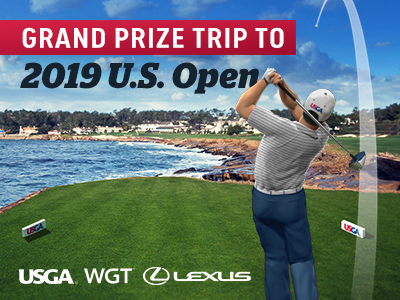 The 2018 Virtual U.S. Open Qualifier ends soon – don't miss your chance to win a grand prize trip to the 2019 U.S. Open at Pebble Beach. *Open to all WGT players, but only eligible countries can win prizes. See rules for details and eligibility. 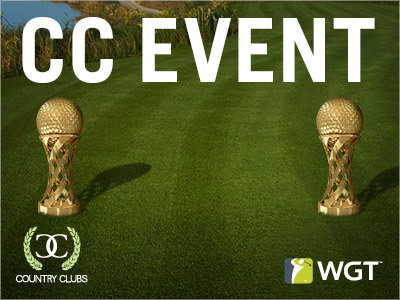 Get free virtual club rentals on WGT this Saturday and Sunday! 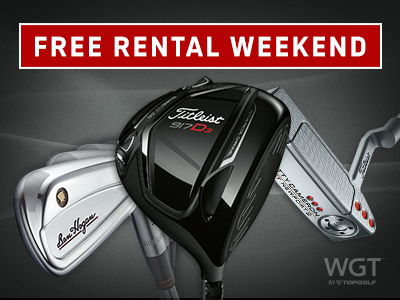 It's a big weekend between the U.S. Open Championship and Father's Day, so we're celebrating on WGT with a free rental weekend. Through Sunday, try out any virtual clubs on WGT like all the newest from Titleist, including the 917D3 Driver and Scotty Cameron Newport 2 Putter, Ben Hogan Irons, or any of the other popular virtual clubs you've had your eye on. To rent clubs, just find the club you want in the Pro Shop, click the RENT or TRY ME button and it's yours free for 24 hours. You can rent as many clubs as you want for free during the promo, Sat-Sun 6/16/18-6/17/18. 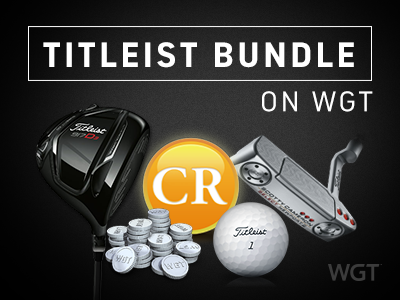 Upgrade your virtual golf bag with the new Premium Titleist Bundle in WGT Golf Mobile. Note, all of these items are available individually on web and mobile, but this special bundle is only available to buy in WGT Golf Mobile. Compete now through Fri, 6/15 with your WGT Country Club for your chance to win these golden golf trophy tee markers and flags. Play CC Event #75 this week to win these tees and flags as well as other in-game rewards, like Course Builder currency for the top 500 clubs to create custom courses. 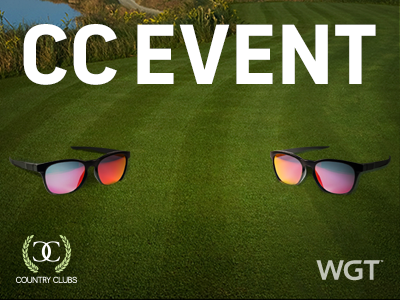 CC Event #75 runs 6/14-6/15 with multiple 4-hour Clashes, so be sure to play as many games as you can for your club and keep your eyes on the leaderboard. Compete in the 2018 Virtual U.S. Open while you follow all the U.S. Open action this week! While you're watching your favorites fight for the title of 2018 U.S. Open Champion, you can compete for your own title on WGT...featuring a Grand Prize trip to the 2019 U.S. Open at Pebble Beach in California. We're celebrating 10 years of hosting the Virtual U.S. Open in collaboration with USGA, so we've created a special 10th anniversary golf course featuring some of the best holes from past U.S. Open Championships. This includes a number of the country's most prestigious courses including Bethpage Black, Pebble Beach Golf Links, Congressional Country Club, The Olympic Club, Merion, Pinehurst No. 2, Chambers Bay, Oakmont Country Club and Erin Hills. Special Offer: Get ready for next week's excitement! Get 3 free Callaway Chrome Soft Truvis Balls AND a Country Flag Ball Effect when you buy 2,000 or more WGT Credits today. Next week's going to be an exciting one for sports on a global stage, so we wanted to help you get ready for all of it! Whether you're watching golf's U.S. Open, soccer's (football's?) World Cup or both, you'll be ready to rep your country and play your best in the Virtual U.S. Open Qualifier. Today when you buy 2,000 or more WGT Credits, you'll also get a free sleeve of Callaway Truvis virtual golf balls, plus 50 hits of the popular Country Flag Ball Effect! Use your credits to upgrade your virtual equipment (maybe try out the new Titleist clubs?) just in time to compete for the Virtual U.S. Open Qualifier Grand Prize trip to Pebble Beach. These Callaway Chrome Soft Truvis virtual golf balls are popular with WGT players, giving you better visibility and more control, the perfect combination to improve your game and lower your scores. Note, the free virtual golf balls will automatically be added to your inventory but not automatically equipped. To use them, just open your Equipment and equip them from your inventory. You can turn on your new ball effect by clicking the ball effects icon (magic wand) in-game. 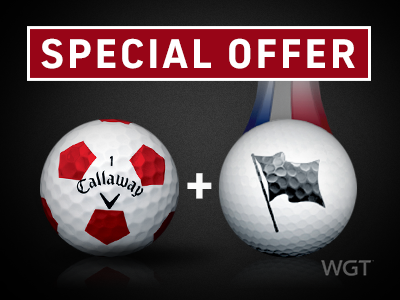 Special offer for players who buy 2,000 or more WGT Credits now through Saturday 6/9, receive 3 free Callaway Truvis Chrome Soft Balls (L18+) and a Country Flag Ball Effect (50 hits). 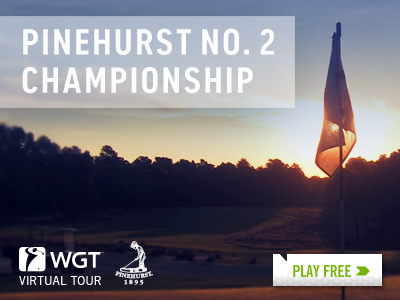 Play the Pinehurst No. 2 Championship this month, the second Major of this year's WGT Virtual Tour! Compete in the unlimited play first round (6/1-6/24) followed by two single-play final rounds (6/25-6/27 and 6/28-6/30), with the top 70 combined scores in each Pro-Champion tier splitting the total increased purse prize of 200,000 WGT Credits.